If you’re in need of dental implants, you’re also in need of a highly-trained periodontist to perform the procedure. To receive dental implants in Boston, you’ll need to undergo a surgical procedure. While the procedure is considered to be safe and highly predictable with a success rate of more than 95%, safety and success rely on the hands of the performing surgeon. Dr. Alexander Schrott has undergone extensive training in dental implant therapy and periodontics to safely and perform even the most complicated implant procedures. To benefit from dental implants, you will need to undergo a surgical procedure to insert titanium posts into your jawbone. Prior to undergoing the procedure, you will first need to have a thorough evaluation to determine if you are a candidate for dental implants. Then, your periodontist, Dr. Alexander Schrott, will determine how many implants will be needed, where they will be placed, and if you will need additional procedures, such as bone or soft grafting. Once a comprehensive treatment plan has been established, the treatment process can begin. Using local anesthesia and in some cases sedation, an incision is made along the gum tissue to expose the underlying bone. Then, an osteotomy is prepared for the implant to be placed. If necessary, additional procedures, such as bone and soft tissue grafts may be performed. Finally, your gum tissue will be repositioned with stitches to allow the healing process to begin. After your bone has fused to the implant post, the restorative phase can be initiated, which will result in you receiving your new teeth. 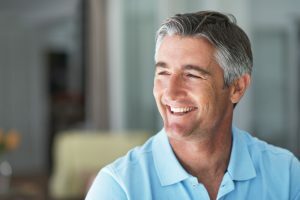 Depending on the type of tooth replacement you need, this can include attaching a crown for a single tooth replacement, a bridge to replace several teeth, or a denture to replace a full arch. The complexity of the procedure, the necessity for precise results and the fact that mistakes most often are difficult to repair make it critical to choose a periodontist who has special training and sufficient experience in implant dentistry. Dr. Schrott conducted his training in dental implants and periodontics in Germany, Switzerland and the United States. After receiving his Doctorate in Germany, he completed his certificate for Periodontology and went on to receive a Master of Medical Sciences from the Harvard School of Dental Medicine. He received a scholarship from the International Team for Implantology to further his expertise on dental implant therapy in Geneva, Switzerland. Through his continued academic excellence, Dr. Schrott has been board certified by both the American and German Boards of Periodontology and is a fellow of the International Team for Implantology. His commitment to the skill and science of dental implants has allowed him to be awarded the Balint-Orban Memorial Price by the American Academy of Periodontology. If you are interested in dental implants, choose the right periodontist in Boston. Chose somebody you can trust and who has the expertise, integrity, and experience to provide you with outstanding dental implant therapy. Call Dr. Alexander Schrott at Kraft & Schrott Dental Associates today at (617) 977-5266.